Cambridgeshire’s maverick former councillor and TV presenter Robin Page has been sacked by the Daily Telegraph . The outspoken conservationist also fired a parting shot in his crusade for rural affairs, saying the move represented the latest blow to “Britain’s most endangered minority in multi-cultural Britain – traditional country people”. Mr Page was given his marching orders from his daily column by email this week, having written it for some 30 years. 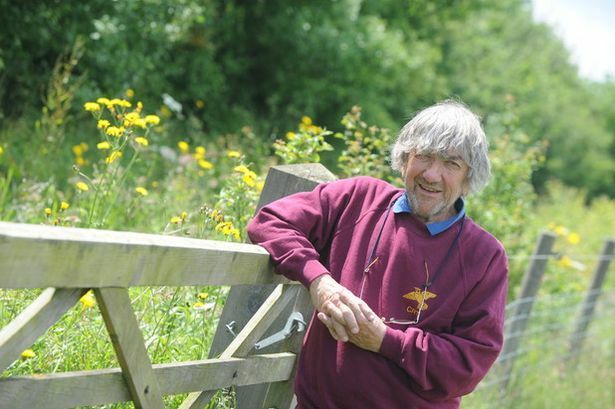 But it is by no means the first time the controversial chairman of the Countryside Restoration Trust (CRT) has been dismissed from a high-profile post. It was in fact the third time The Telegraph has given him his P45, while Mr Page was previously given the boot from BBC Television’s One Man and His Dog . “I am very sad at losing my ‘Country Diary’ at the Telegraph , and a lot of readers seem to be very angry,” said Mr Page. “I have been restructured out of the paper by corporate, urban money men. It was a good column; it showed the countryside, wildlife, farming and green living as it really is. “Most countryside imitations in the media are sanitized and soaked in saccharine and saccharine is an artificial sweetener. “I sought no favours and described things as they are, including sharp teeth and claws. I felt that I was giving a voice to Britain’s most endangered minority in multi-cultural Britain – traditional country people”. The sacking marks the latest twist in another turbulent few months for Mr Page, who was born in Barton and where he continues to live as part of his work around sustainable farming with CRT. He quit as an independent councillor on South Cambs District Council earlier this year, claiming both local and national government policies were “trashing” the countryside. Prior to this he also made the headlines by comparing the approval of an affordable housing development in Great Eversden as equivalent to that of “Jihadists trashing their history in Iraq”. He found himself in hot water over a “joke” about giving contraceptives to immigrants in raisins, while local Lib Dems also successfully complained to the Charities Commission about a press release put out by Mr Page through CRT. “I hope my unplanned disappearance from the Telegraph does not impact on the CRT,” he said. “We wait and see. It is all part of Britain in the 21st century – the sidelining of the real countryside – those who live and work in it and the wildlife that depends on it. It is all very sad”. Mr Page added that he has now “reluctantly” set up a blog and taken to social media, in the absence of his Telegraph column. You can read his blog here and find him on Twitter at @skylarkwarrior. Previous Previous post: Out of Africa OR Tracing Mankind’s Family Tree To When We Lived In It! Next Next post: The Arrogant Duplicity Of Warmists & Their Self Serving Scams To Control Budgets!